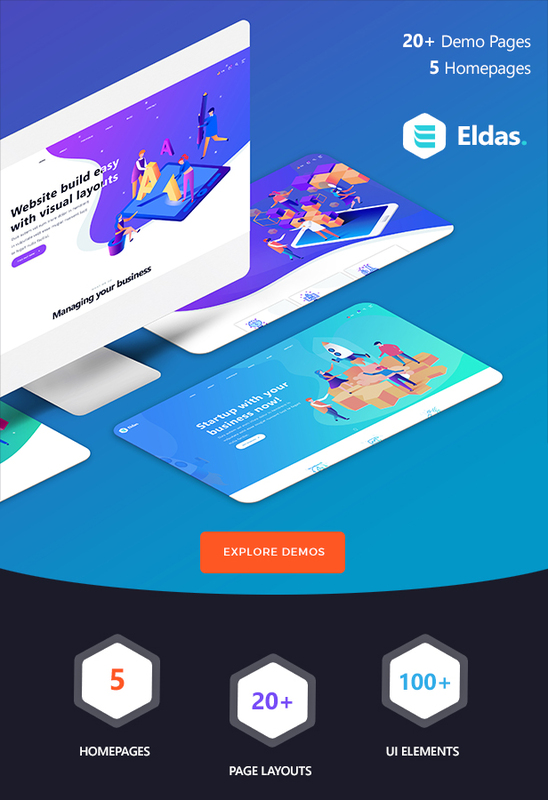 Eldas Portfolio HTML5 Template including 20+ different pages to build your own website. Now building you professional website is very easy. This template does the work for you, with 20+ different pages which can be custom integrated to your needs. The design is flat, responsive and SEO friendly. It has professional blog pages which has listing and grid layout. The SEO focused design and professional layout has various homepage options. Integrate images, Slides and more with Revolution Slider to give a quick view about your business or dictate your business story. The Design uses google fonts which is browser friendly and is powered by Twitter Bootstrap v. 4. The design is compatible with plugins and it makes a great deal for you. You will find all credits to images, fonts and resources that are used for Cobi – Portfolio HTML5 Template in the documentation / helpfile.